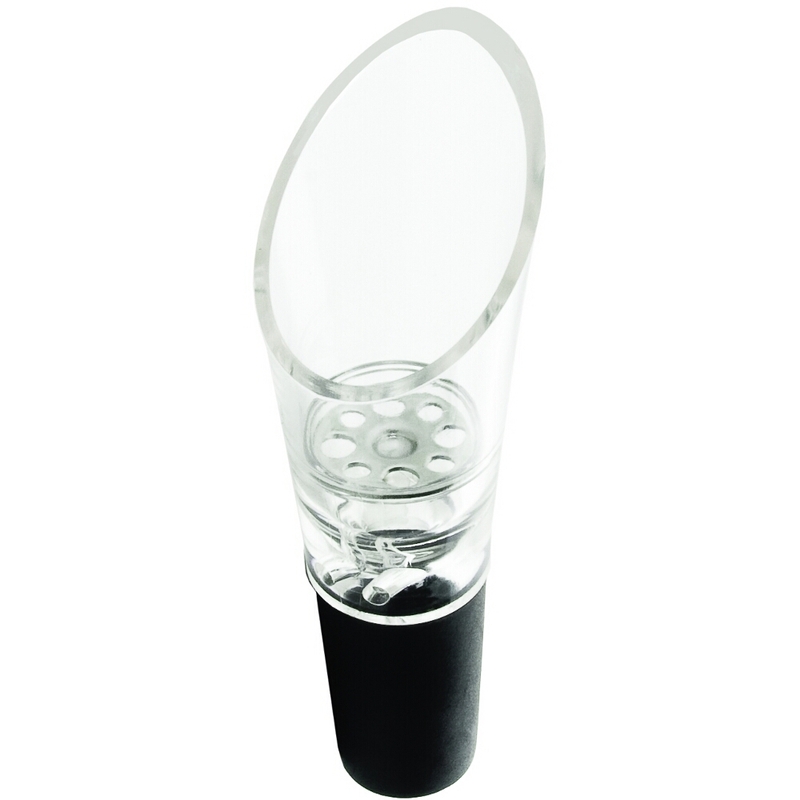 Seal, pour, and aerate your wine with ease and style using this True Fabrications aerating pour spout. Fabricated from translucent acrylic, stainless steel, and black rubber, it is durable and long lasting. This wine pourer and stopper features a secure black rubber seal around the middle to seal your wine bottles tightly, as well as a pour spout that has dual air valves and air blending strainers to perfectly aerate your favorite wines. This pour spout was intended for wine bottle only. Ideal for any wine lover, this three-in-one tool makes a great gift.